Earl Robertson learned his hockey skills on the prairie ponds near Bengough, a small town in southern Saskatchewan where he was born. ”Robbie” traveled a long and winding path to the NHL that took him to a variety of cities and through a handful of leagues. In 1925 at the age of 15 he moved to Regina where he played junior hockey for with the Regina Falcons. His goal tending talents helped the Falcons make it to the 1926 Memorial Cup finals. 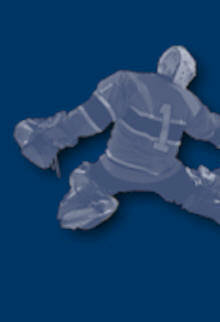 After two seasons in Regina he moved to the West Coast in 1927-28 to play goal for the Vancouver Monarchs junior club. That year at the end of the season the Vancouver Maroons picked Robbie up for the Allan Cup Tournament. In 1928 at the age of 17 he turned pro with the Victoria Cubs of the Pacific Coast Hockey League. In the next few years Robbie would play for the Tacoma Tigers and the Oakland Sheiks of the Pacific Coast Hockey League, the Hollywood Stars of the Cal-Pro League, the Edmonton Eskimos of the Western Canada Hockey League and the Windsor Bulldogs and Rochester Cardinals of the International American Hockey League. 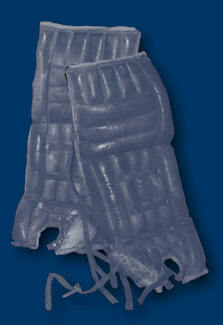 In 1935-36 his play gained him the recognition of being named to the IHL Second All Star Team. In 1936 the Detroit Red Wings purchased his rights from the Bulldogs and Earl played for their minor-league affiliate in Pittsburgh. 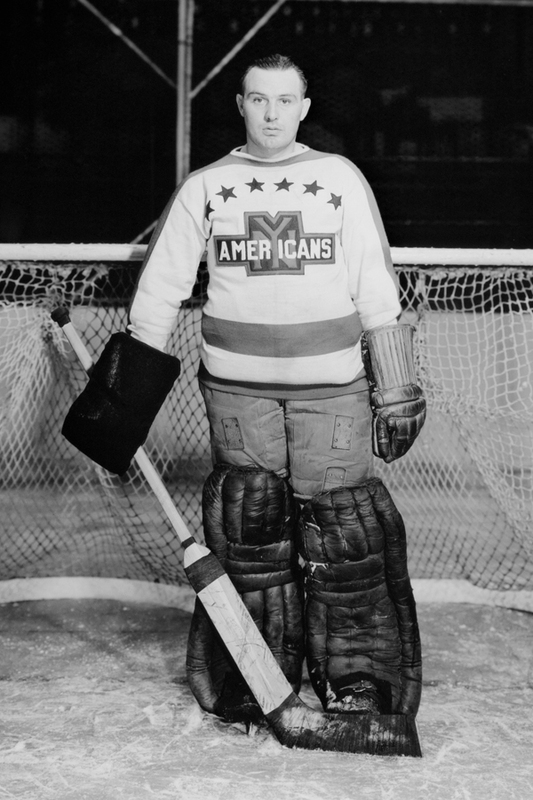 He put in a solid season and was called up to replace Detroit’s injured goalie in game four of the 1936-37 Stanley Cup semi-final playoffs against Montreal. His sensational puck stopping enabled the Wings to win the series three games to two. In the final series against the New York Rangers he posted shut-outs in game four and five and became the hero, leading his team to a Stanley Cup victory. In the playoffs, Robbie stopped the first penalty shot ever awarded during Stanley Cup play. 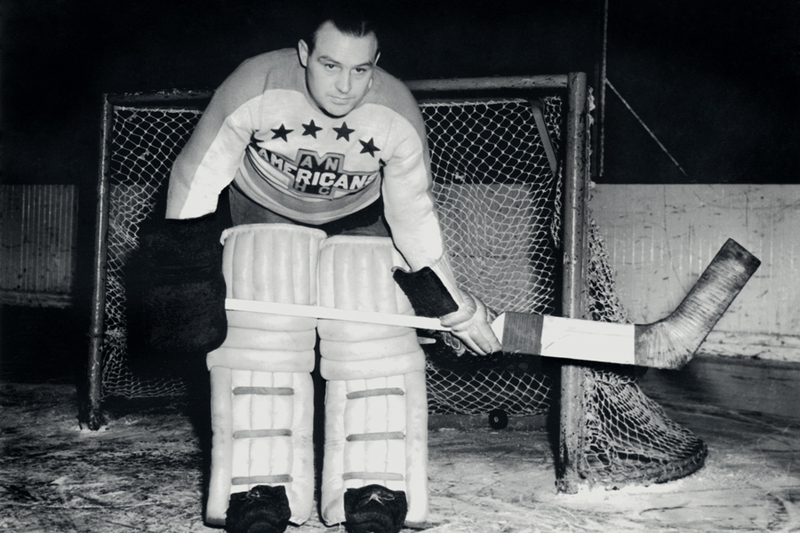 The next year (1937-38) Robbie was traded to the New York Americans (who later became the Brooklyn Americans) and in his NHL regular-season debut he recorded a shutout blanking the Chicago Black Hawks 3-0. That year he led the Canadian Division in goaltending in the eight team league and the”Amerks” advanced to the playoffs losing in the semi-finals. 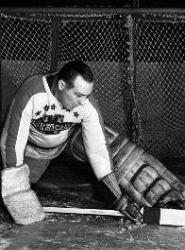 In the next two seasons his team also made the play-offs and because of his outstanding play Robbie was named an NHL Second Team All-Star for the 1938-39 season. Robbie played with the Americans until 1942, the last year of the club’s existence. Robbie finished the 1942 season in Springfield of the IHL where he was the winning goal tender for the inaugural IHL All Star Game. Robbie’s NHL career lasted 6 years and he played 190 regular season and 15 play-off games. Following his NHL career, Robbie moved to Edmonton in 1942 where he had spent all of his off seasons since playing hockey for two seasons with the Edmonton Eskimos starting in 1932. It was in Edmonton that he had met and married his wife Verna (1937). Robbie played in one more Allan Cup tournament in 1944 with the Edmonton Vics. As well, for many years he was involved in charity events with Old Timer’s Hockey. A couple of times in the late 1950’s Robbie was called on to help out the Wetaskiwin Colonels when they were in desperate need of a goalie for a game and even though he was approaching the age of fifty, admirably came to their rescue. After retiring from professional hockey, Robbie continued his involvement in the sport by coaching the Edmonton Junior Canadians for two years starting in 1945, leading them to the Western Canadian finals in 1945-46. When the Junior Canadians were moved to Wetaskiwin in 1947-48 he was again named coach. Another successful coaching stint saw him coaching the Ponoka Stampeders. Robbie was also instrumental in starting Little League Baseball and Peewee Hockey in Wetaskiwin and coached teams in both sports. In 1951 Robbie and his family moved to Wetaskiwin where he became associated with Wetaskiwin Motors, lived, raised his family and became involved in the community until he passed away in 1979. He was a very active member of the Royal Canadian Legion, a member of the Wetaskiwin Golf Club and served as a volunteer fireman for many years. We recognize the outstanding hockey career of Earl Cooper Robertson and his involvement in the Wetaskiwin community by inducting him into the Wetaskiwin Sports Hall of Fame. Read the opening comments made by Sandra Wright when introducing Earl Cooper Robertson.